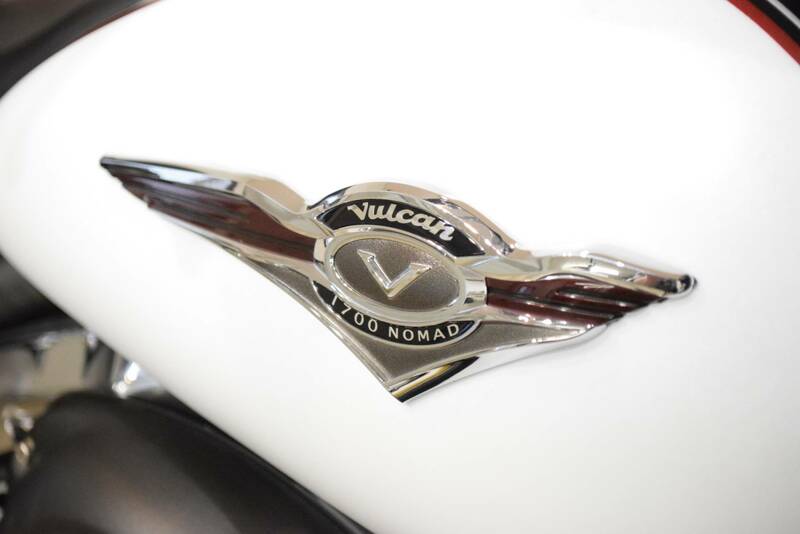 Traditional Styling with Contemporary Technology The Vulcan® 1700 Nomad™ ABS may look like it rolled out of the history books, but at its heart, the Nomad is a thoroughly modern motorcycle. 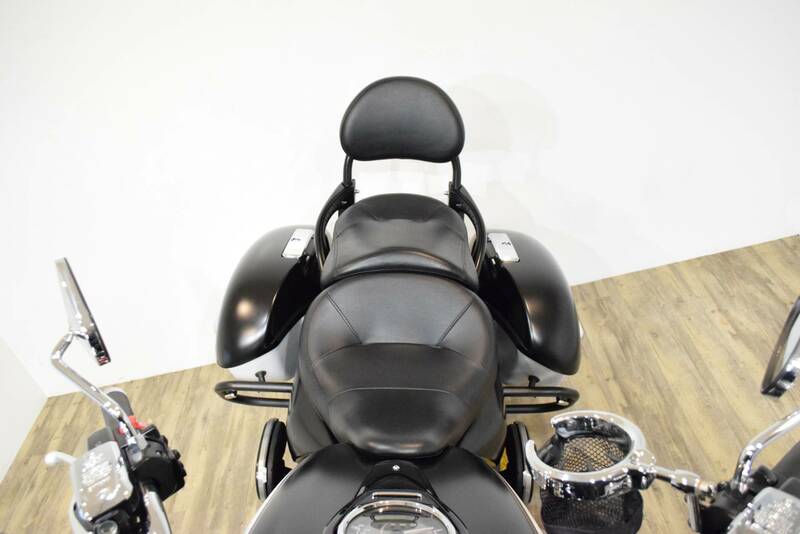 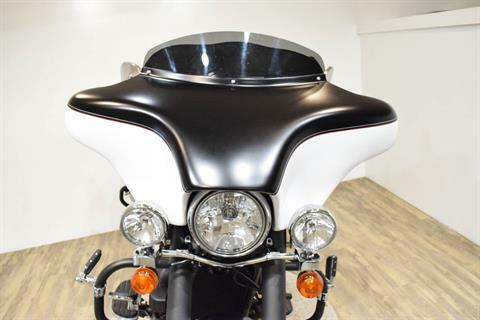 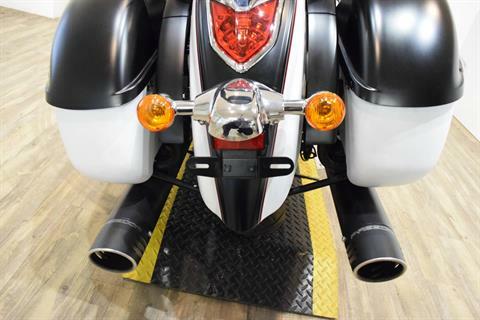 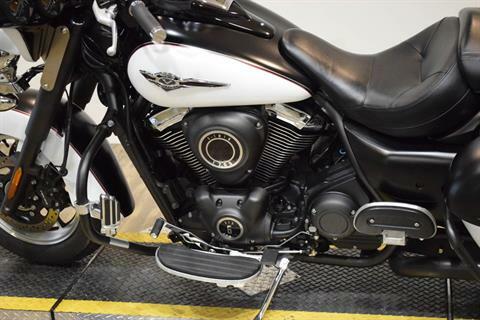 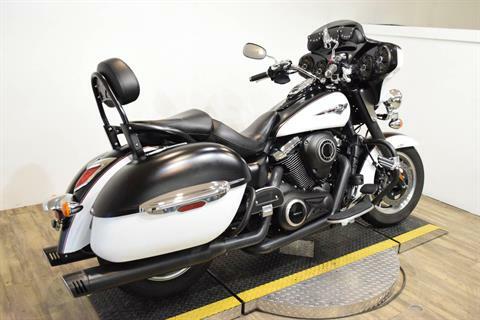 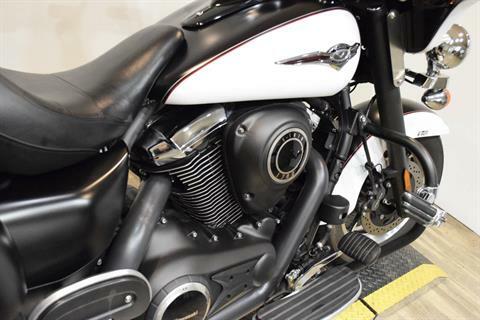 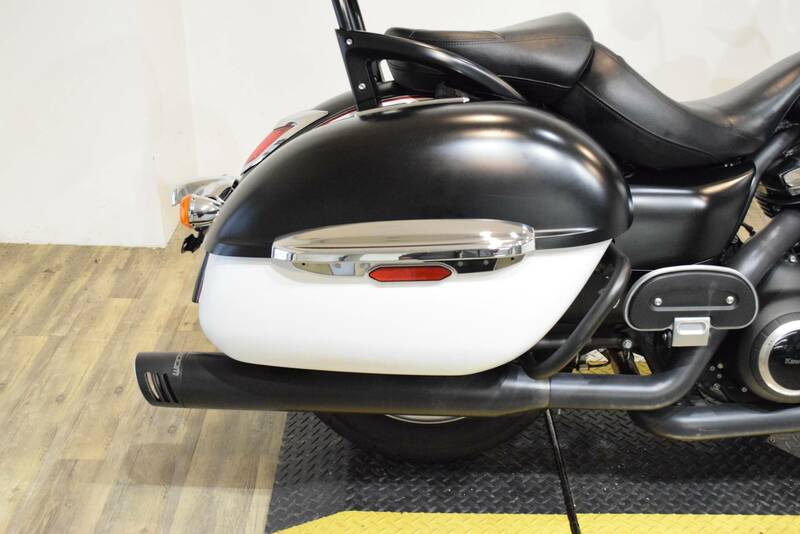 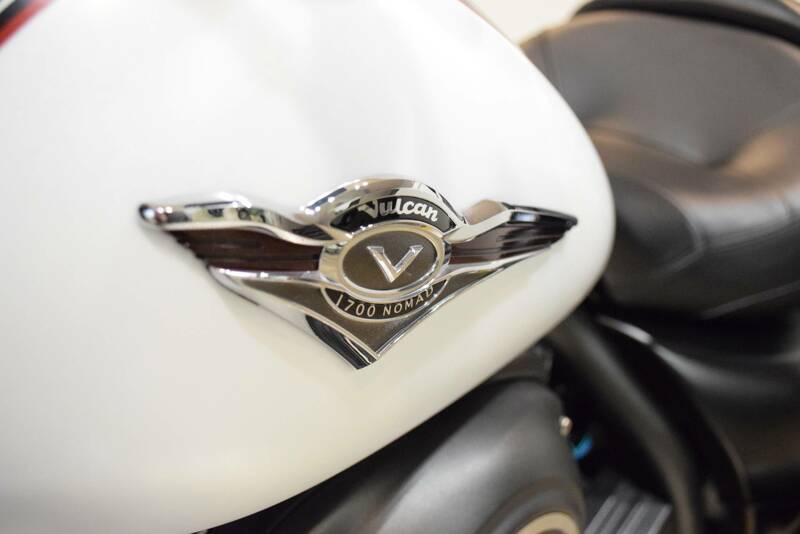 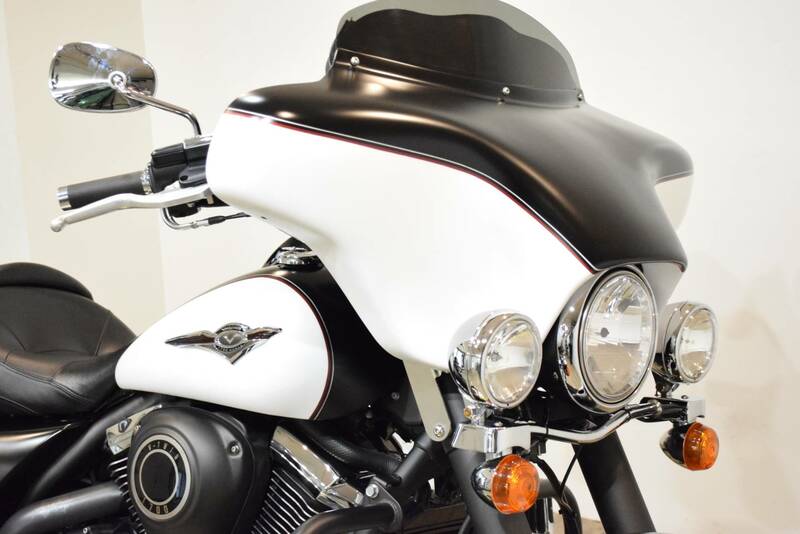 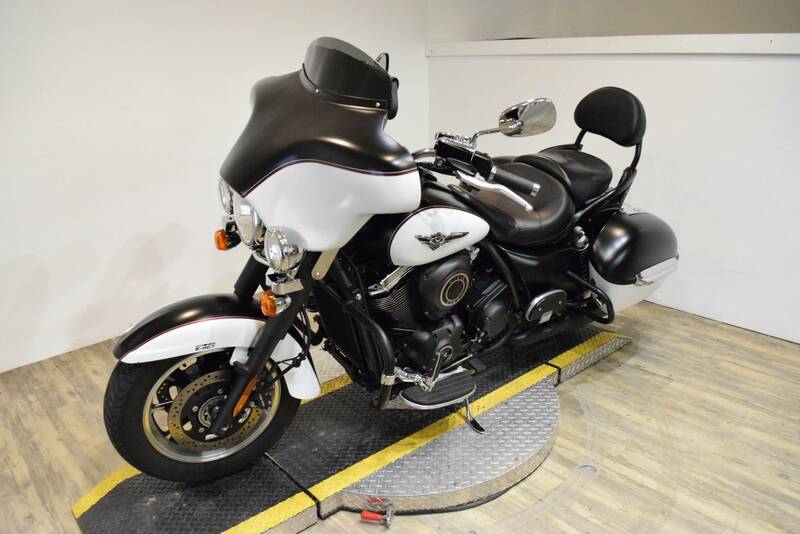 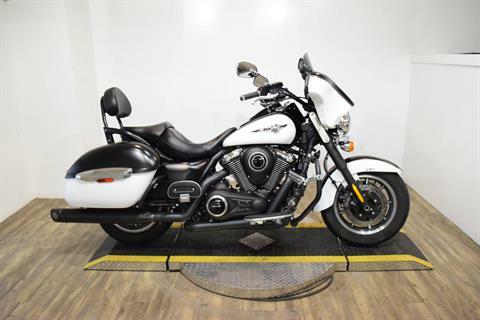 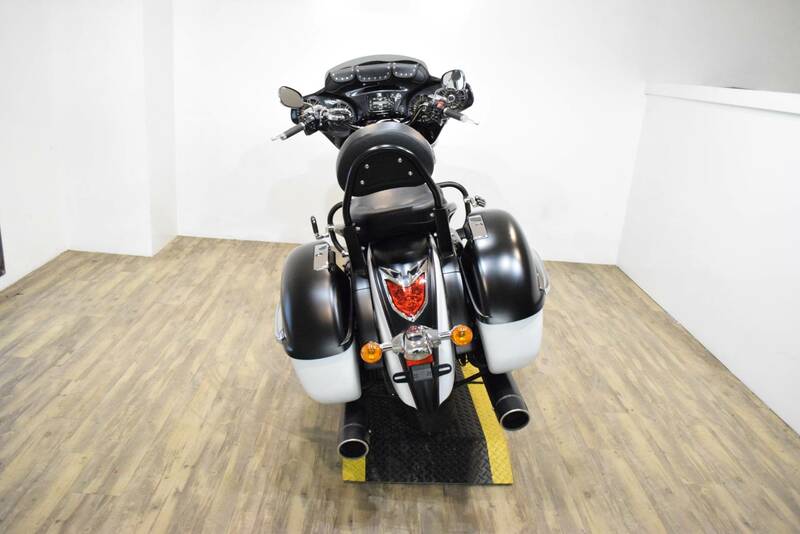 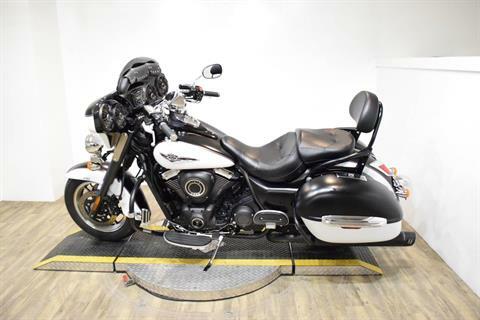 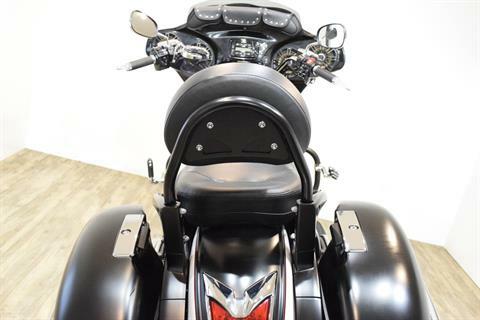 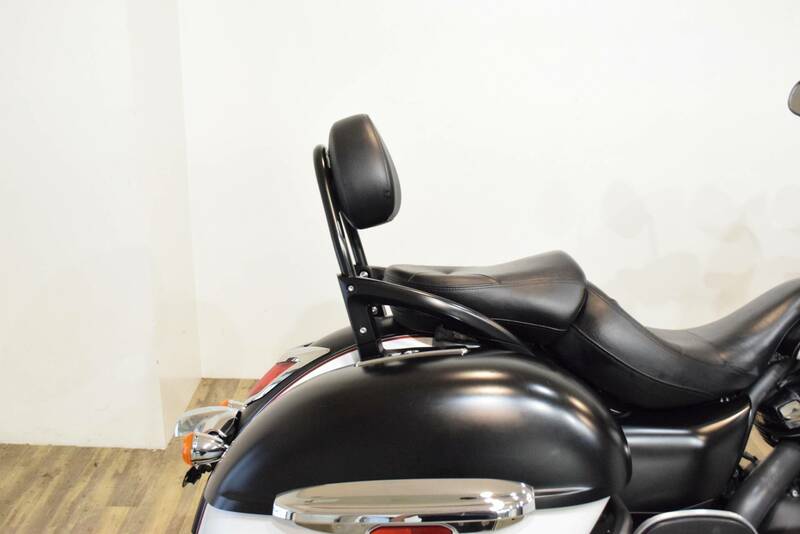 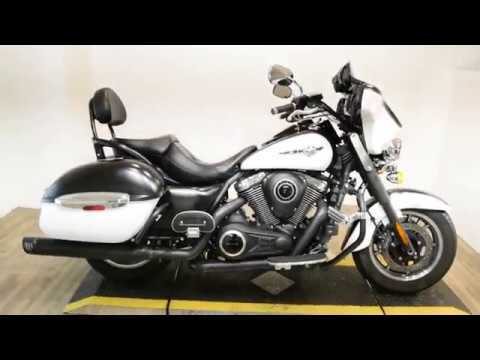 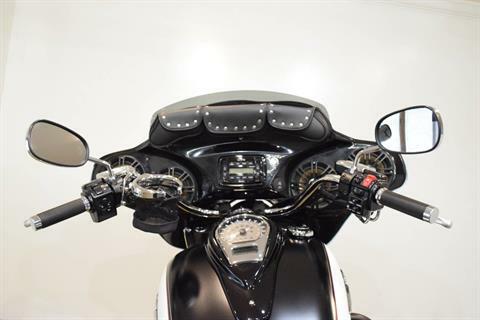 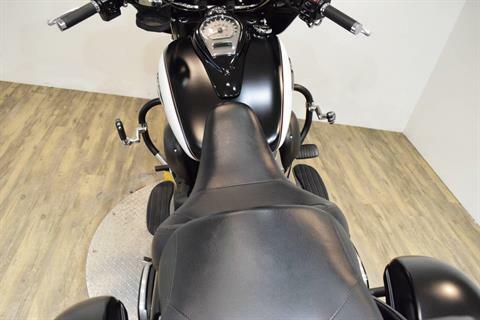 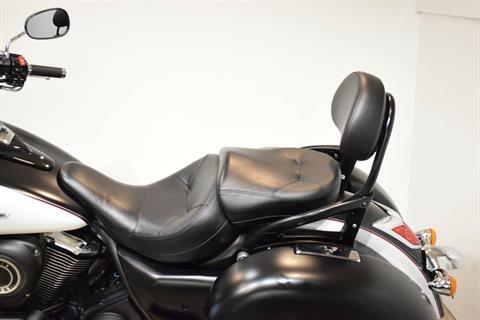 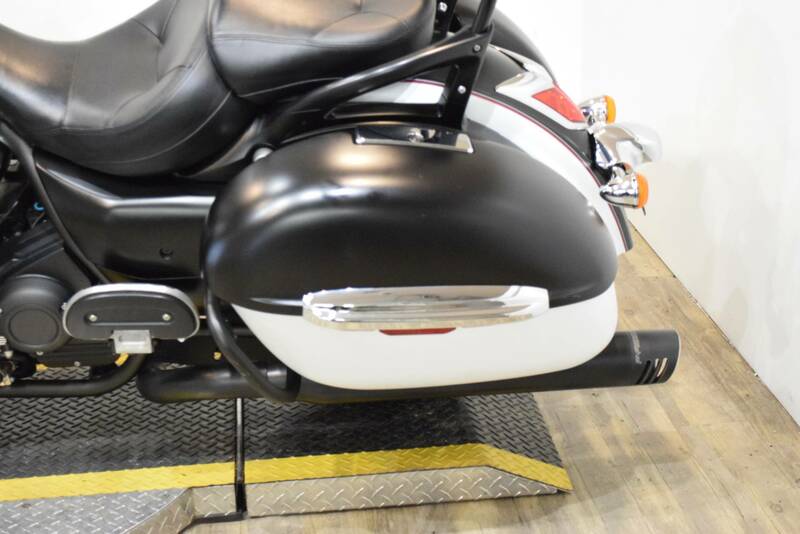 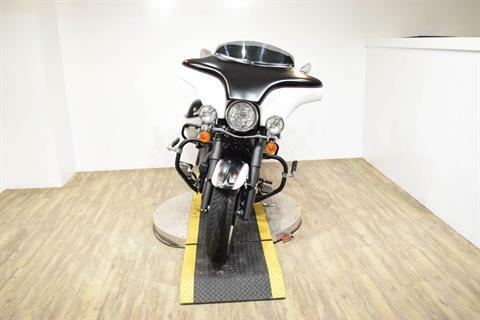 Outfitted with a full-sized windshield, hard saddlebags, floorboards, backrest and standard cruise control, this Vulcan has everything needed to both stand out on the boulevard and follow the front wheel towards distant horizons. 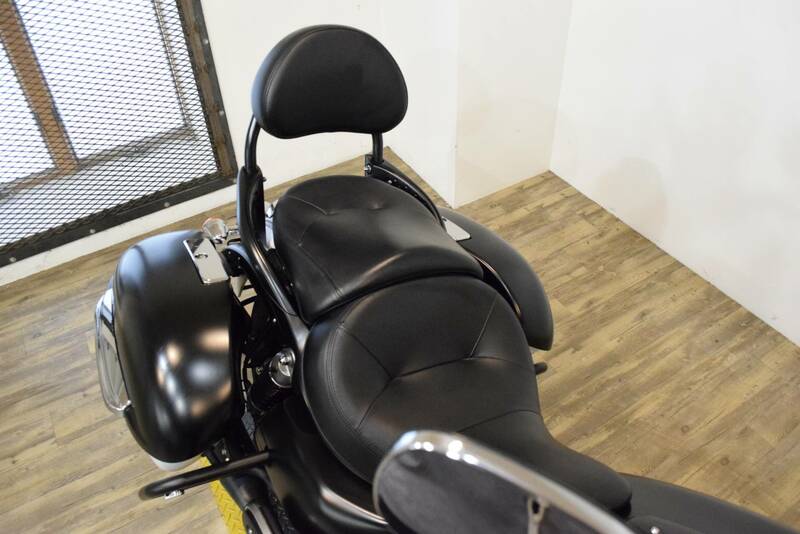 The low-slung seat makes maneuvering a breeze at the local bike night while the shape and padding of the saddle and pillion keep the rider and passenger comfortable during long days on the open road. 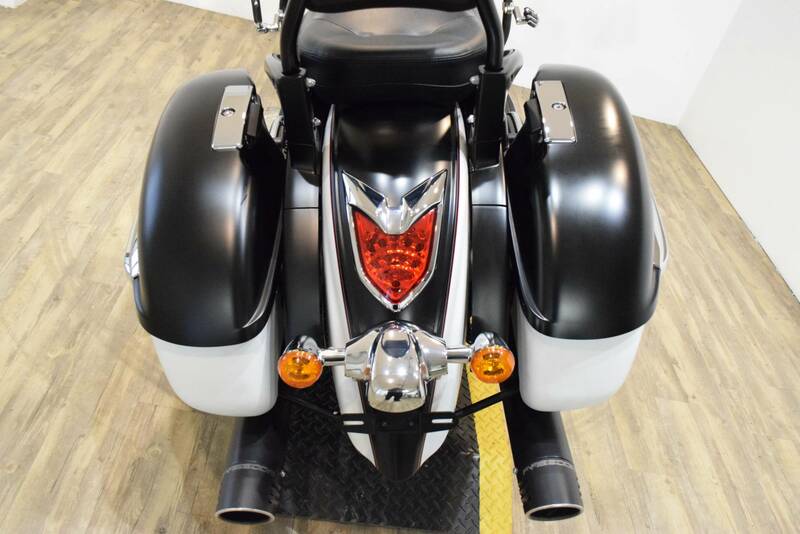 Through it all, the pulse of the 1,700 cc V-twin wraps itself around your soul, enticing you to keep on riding long after the sunset has stopped reflecting in the Nomad’s silky two-tone paint. 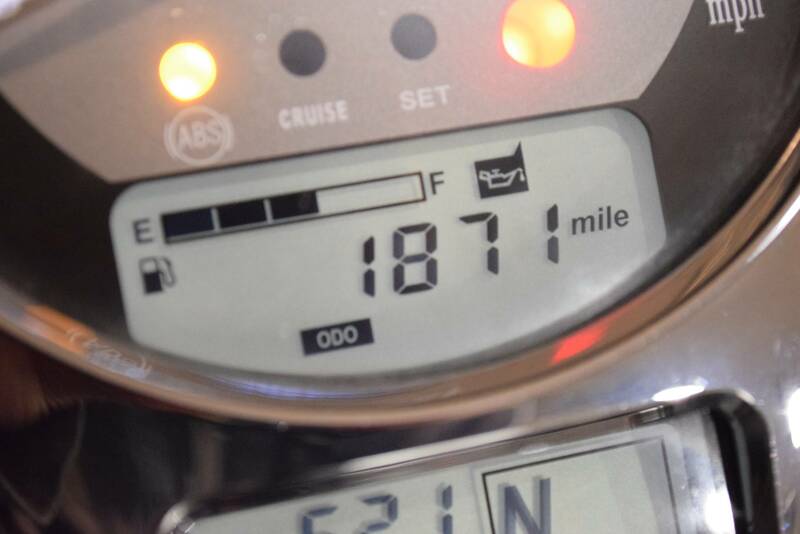 Multi-function LCD displays on the tank-mounted instrument cluster are controlled by switches on the right handle. Features include a gear-position indicator, fuel gauge, clock, odometer, dual trip meters, remaining range and average fuel consumption. 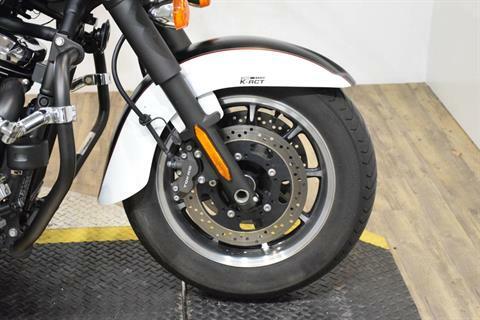 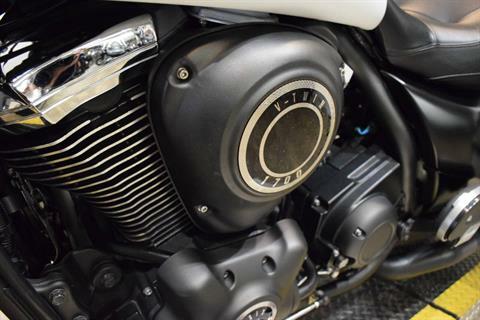 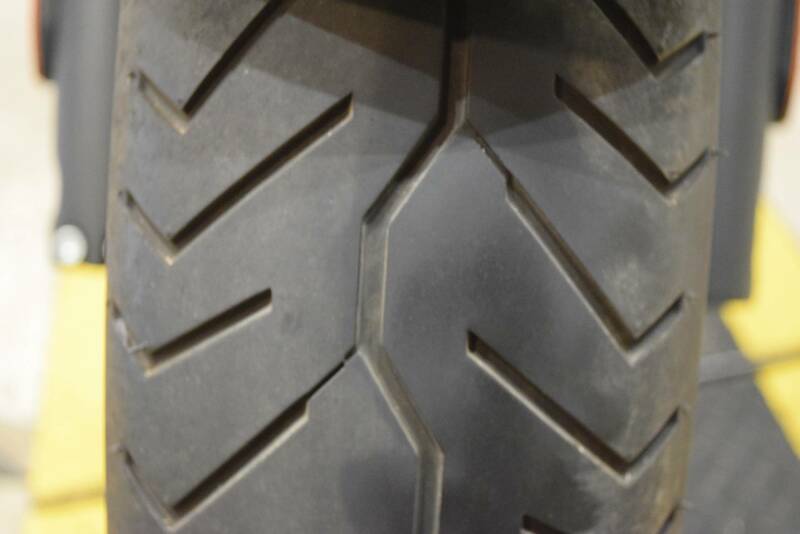 Nomad ABS features Kawasaki’s sophisticated K-ACT II system, which helps riders to execute controlled, balanced braking. Designed to complement the riders’ brake inputs, the system distributes the ideal amount of brake pressure to maximize braking efficiency. 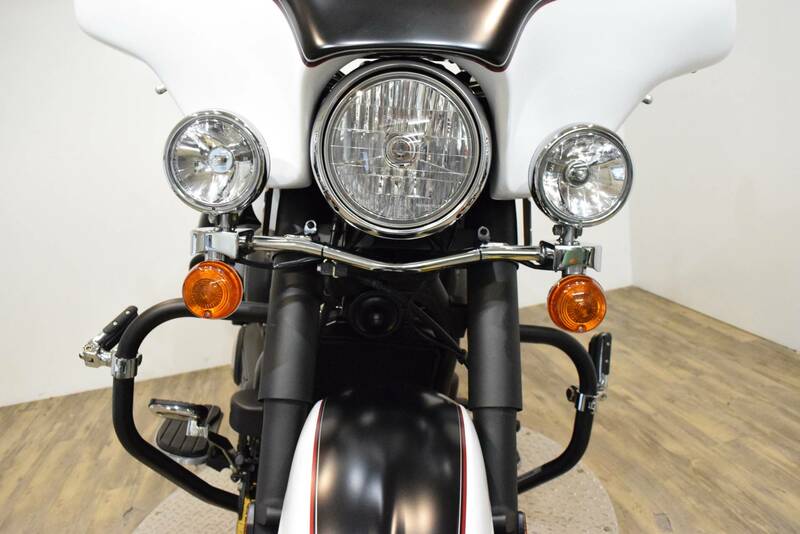 Lightweight and slim, the frame minimizes the number of forged parts and trims any unnecessary metal. 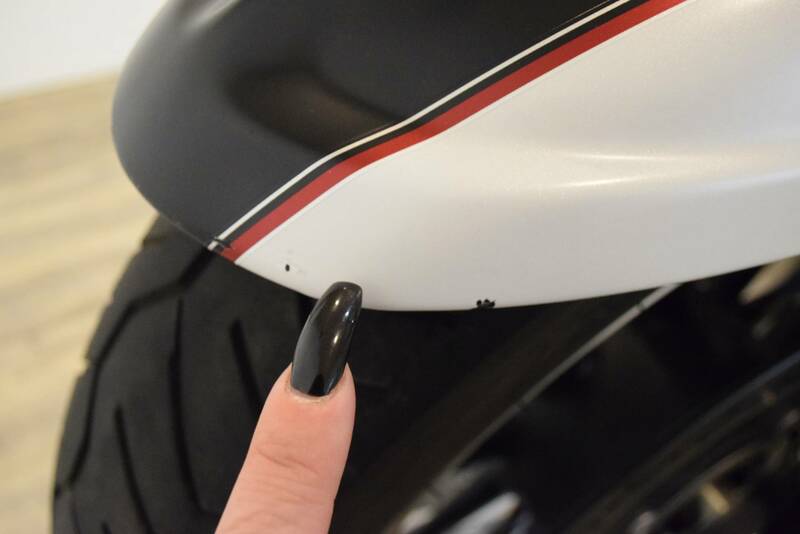 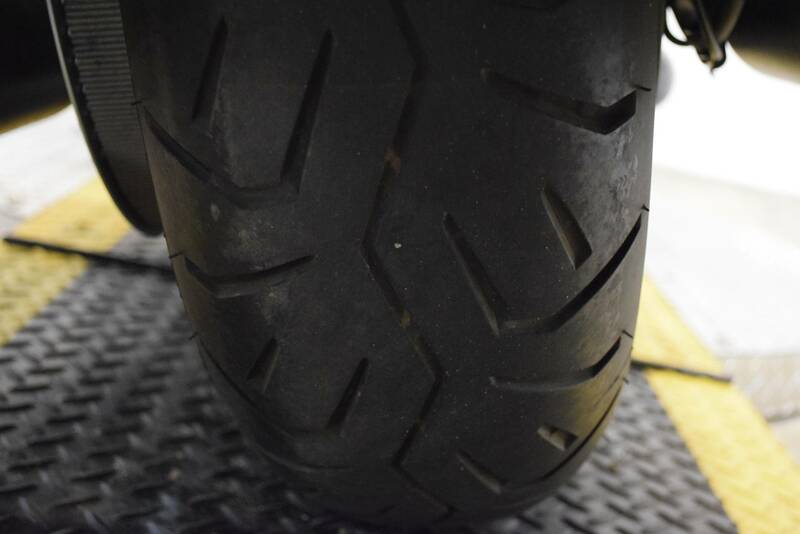 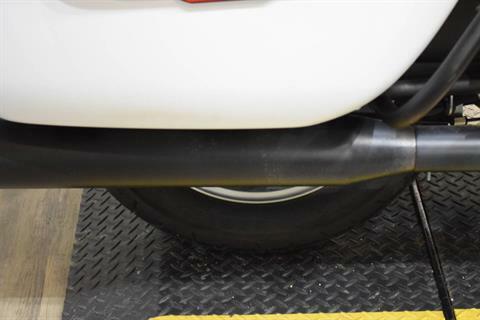 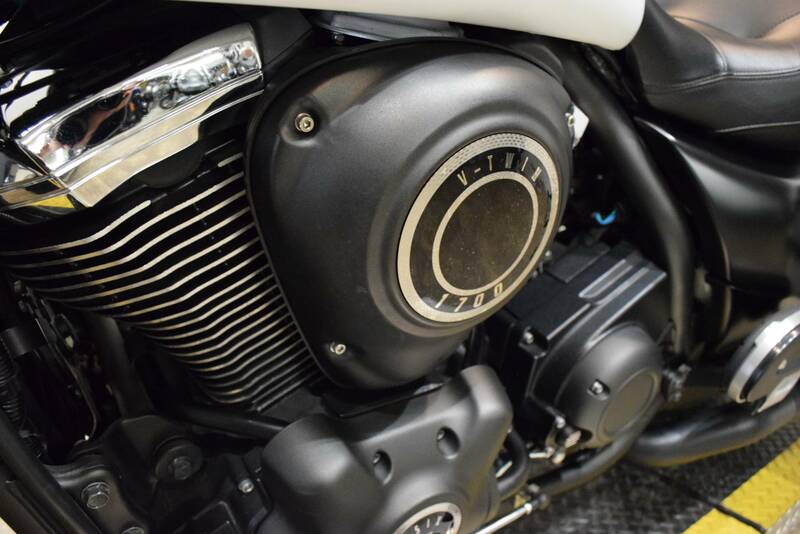 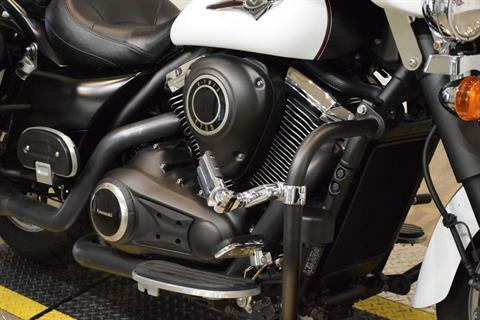 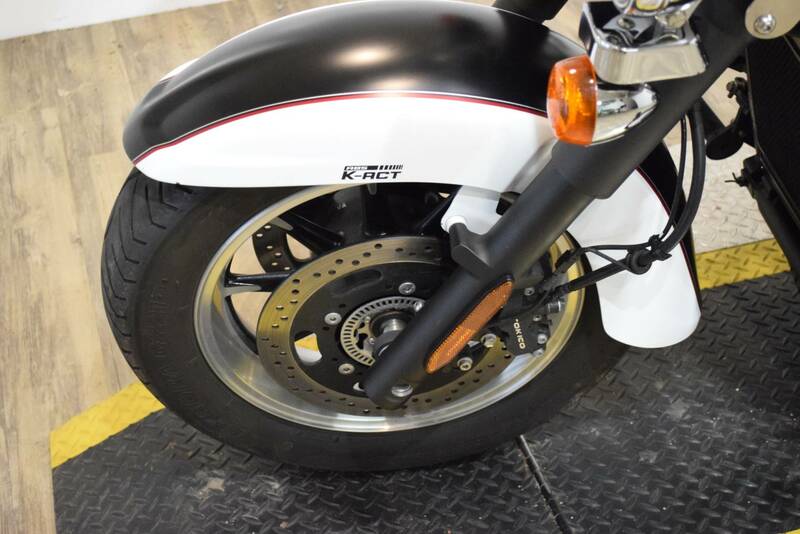 The only forged parts are areas that require additional strength: the down-tube joint, engine brackets, side-stand bracket, and rear fender / shock absorber bracket.